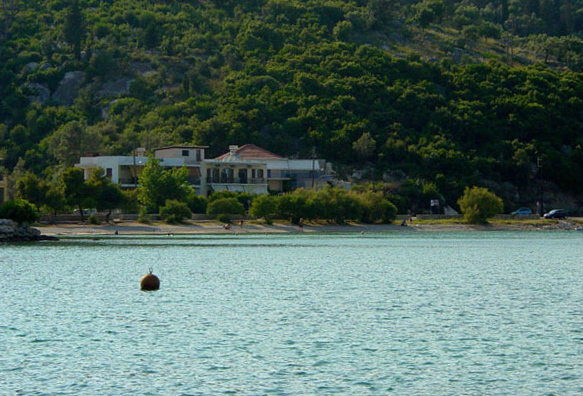 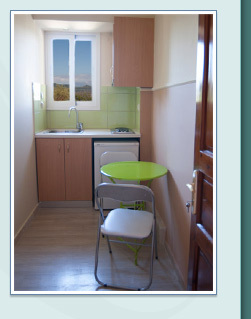 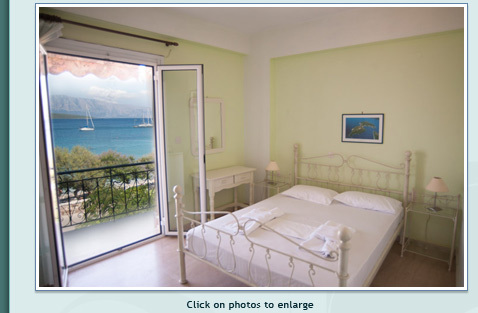 "Giorgio" rooms, apartments and studios are located at the sea-side village of Nikiana on Lefkada island. 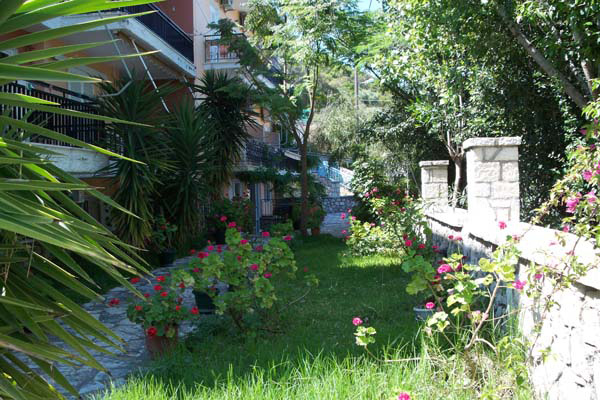 They are built in a big lush-green garden exactly opposite the sea and are 7km (4 1/2 miles). 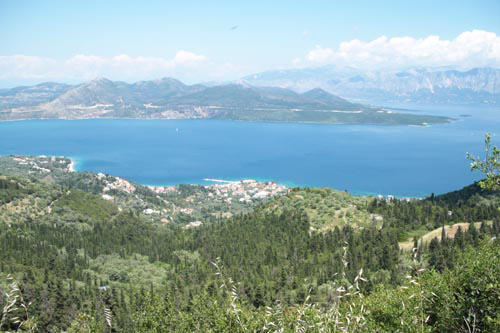 from Lefkada Town, 8km (5 miles) from the cosmopolitan Nidri and only 15m (49ft.) 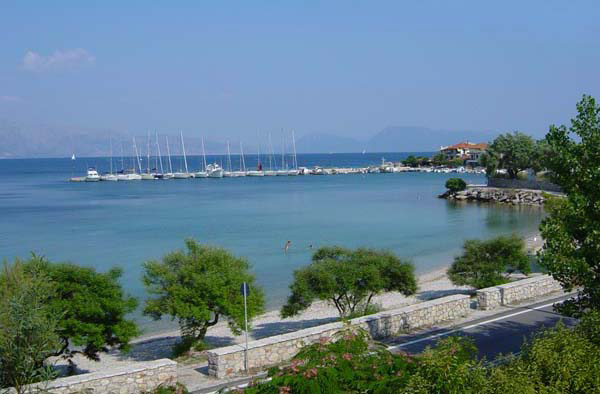 from the marvellous sandy beach with the quiet, shallow water which is ideal for families with small children and everyone else. 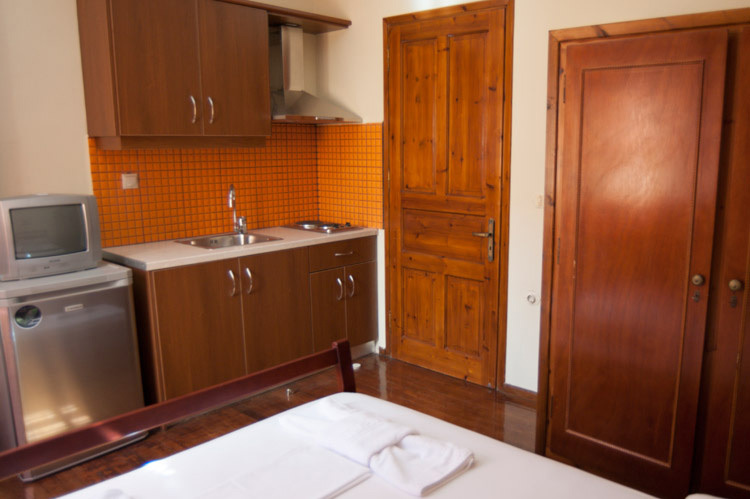 The complex offers its guests rooms, studios and apartments that can accommodate 2-8 people accordingly. 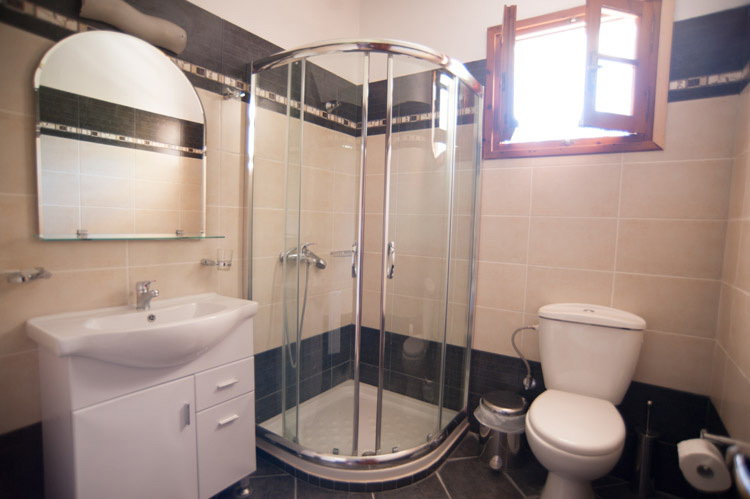 Two large apartments (three room) fully renovated. 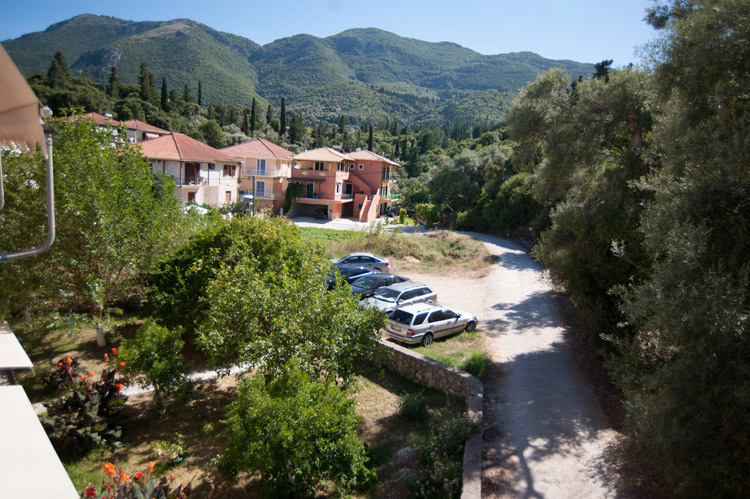 They offer a large kitchen, with all the necessary utensils, three bedrooms with two beds (two of which can be converted to accommodate 3 persons), luxurious bathroom, big verandas, one facing the sea and the other the view of the complex, the garden and the lush green mountain. 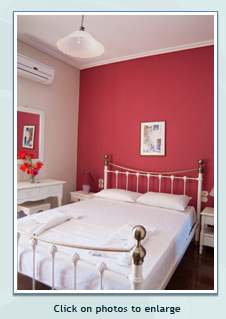 They are suitable for large families. 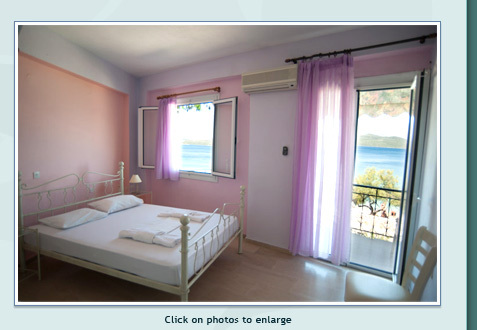 They offer a kitchen, bathroom, large verandas exactly facing the sea and a marvellous view. 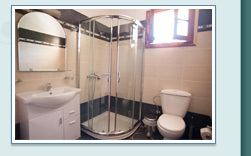 On the first and second floors there are two apartments with 2 rooms each, one of which has two bathrooms. 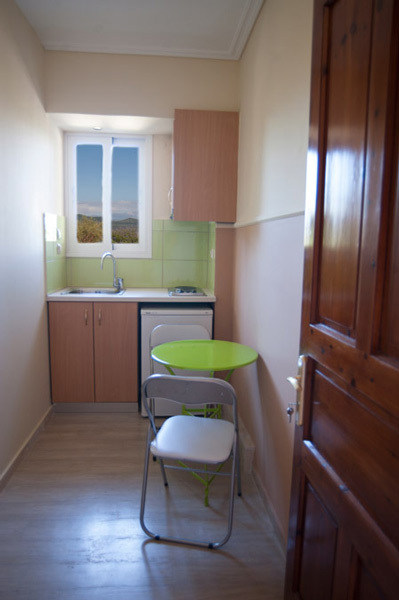 They are sunlit and provide a kitchen, two verandas, with a beautiful view of the sea and the mountain . 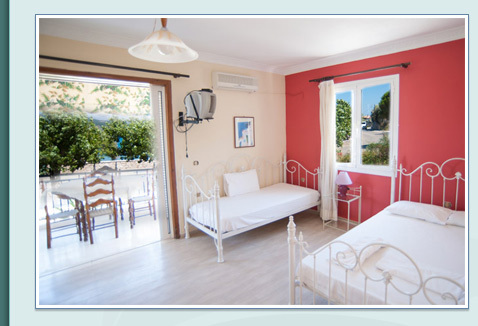 Suitable for four member families. 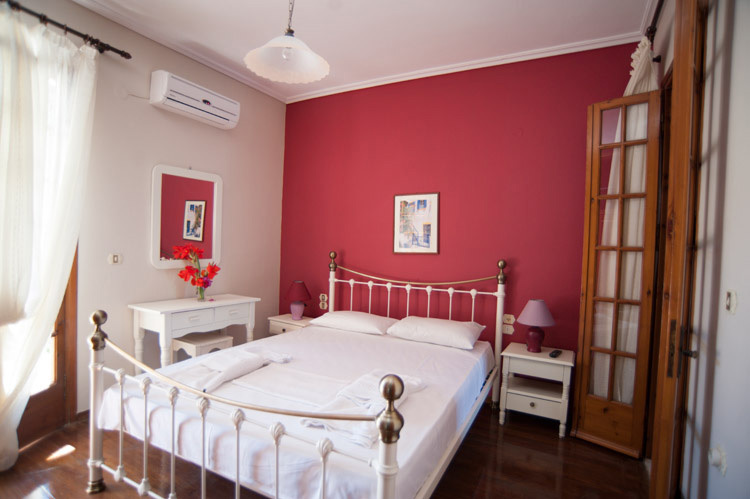 Also, on the first and second floors there are two studios and two rooms, all with a beautiful view, suitable for couples. 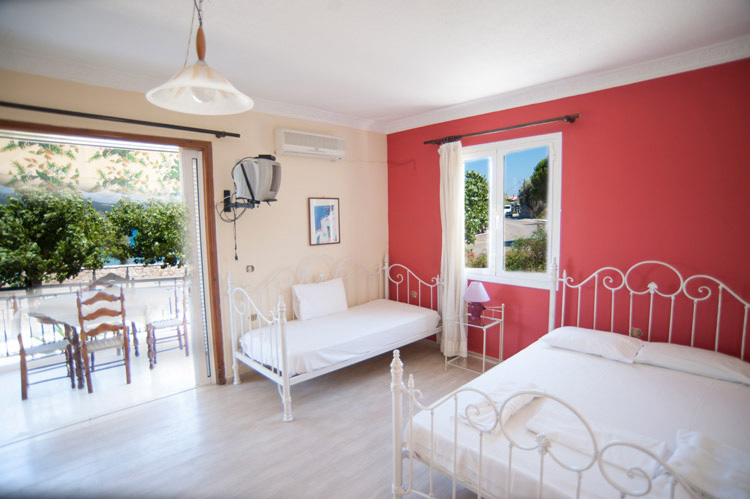 Two apartments with 2 rooms each, that can accommodate up to 5 people each, and a triple studio that be converted into a quad, suitable for children, so that they can go out into the garden and above all for disalbled individuals. 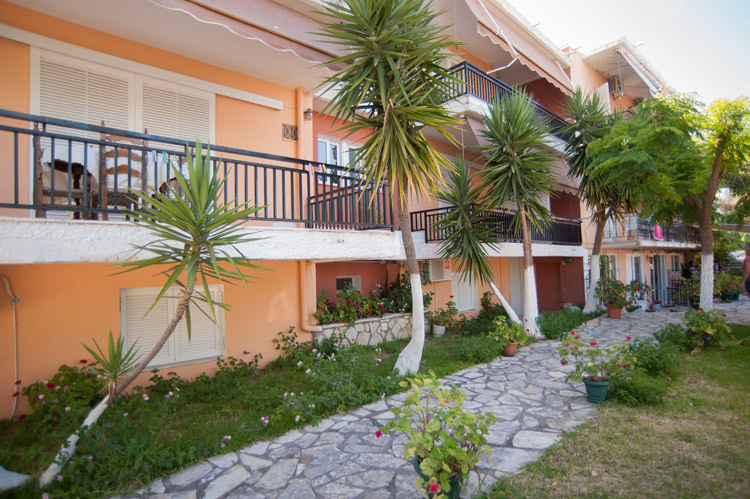 On the ground floor facing the sea, there is a small cafe where all guests can drink their coffee or drinks and enjoy the sea-view. 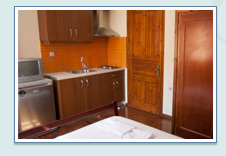 Friendly and prompt service and very logical prices according to the season.